First let me say, I am not huge into Paranormal Romance at all. But knowing this was a Ruby Rowe book, I was excited to see how it would all play out. 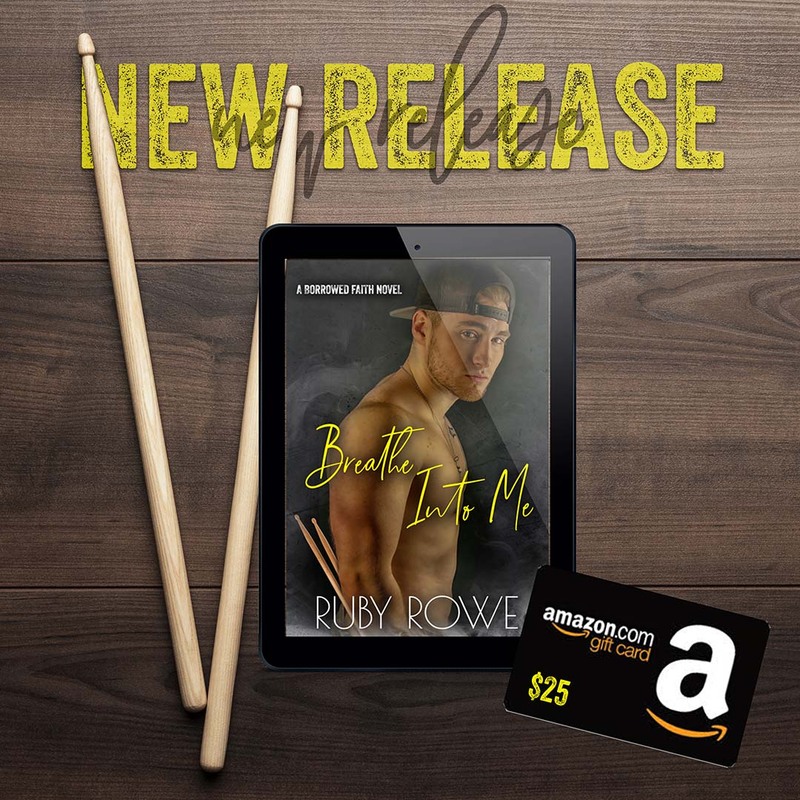 Ruby has not let me down since she started writing as Ruby Rowe, and this was no exception. I was blown away at how much I was pulled into the story of Tripp and Apple. 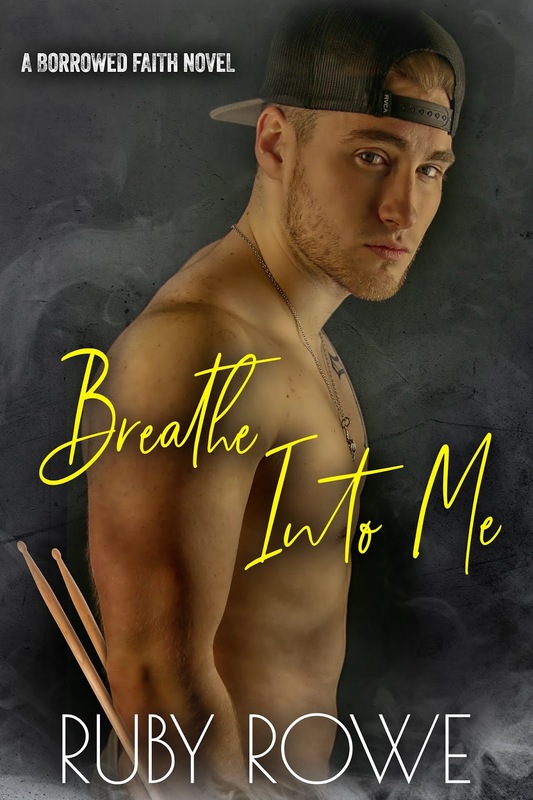 In Breathe into Me, the kick-off to what is going to be an amazing series, we follow the Rock Band Borrowed Faith on tour. 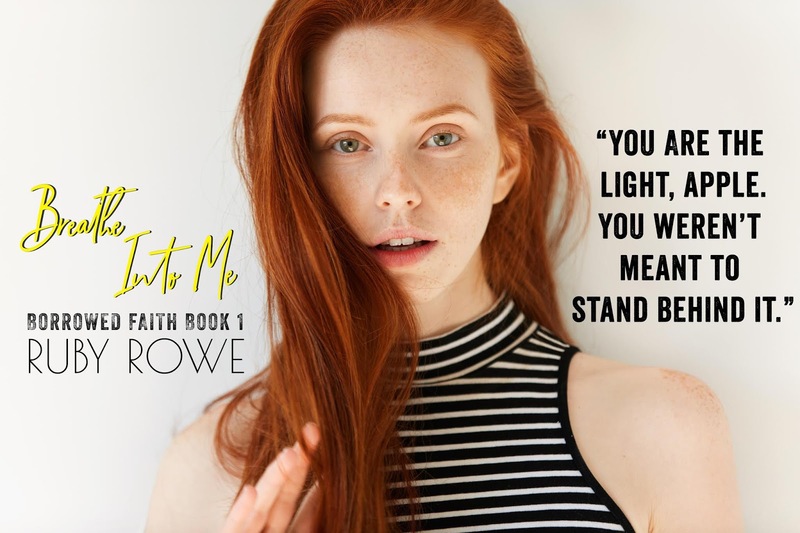 Breathe into Me is Tripp Townsend’s book. Tripp is their drummer, and Apple is an aspiring writer who ends up on this tour bus working on an article. With high aspirations of locking each of the band mates down for interviews, the one that resists her the most, is the one she is drawn to the strongest. The connection that Tripp and Apple have is instantaneous, although he is very resistant to it. He’s been warned to stay away by her Rock Legend father who doesn’t want her involved with one of his kind. But his pull to her is just undeniable and once he finally gives into it, BOOOM! An explosion so magnetic that you just know these two are destined to be together. But the only way they can survive is if Apple confesses her secret she’s been hiding from him. But will her confession rip them apart faster than they were pulled together? I can’t wait for the next book in the series, based on Zain! Swoon!